Occult renal disease in patients undergoing coronary artery bypass grafting: does it really matter? The invited editorial does not mention any patient or patient details and hence formal ethical approval is not required. Sajja LR, Singh S, Mannam G, Guttikonda J, Pusapati VRR, Saikiran KVSS. Impact of occult renal disease on the outcomes of off-pump and on-pump coronary artery bypass grafting. 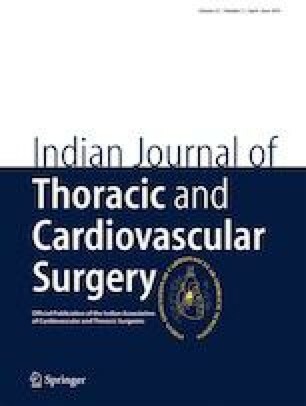 Indian J Thorac Cardiovasc Surg. 2018. https://doi.org/10.1007/s12055-018--0767-3.